Morning by Morning is considered a devotional classic for its faithful handling of Scripture and passionate interaction with God's Word. 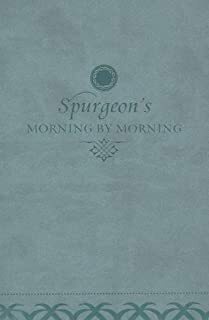 In this stand-alone edition, noted pastor-author Alistair Begg has carefully modernized Charles Spurgeon's language while preserving the original meaning, and used the English Standard Version for the Scripture text. With its special binding, portable size, and more accessible language, this updated version of Morning by Morning will give a new generation of readers strength for each day. Also sold as a set with Evening by Evening .